Home Accounting e-returns Finance Income Tax INCOME TAX SHORT NOTES: “PROFITS AND GAINS FROM BUSINESS AND PROFESSION"
INCOME TAX SHORT NOTES: “PROFITS AND GAINS FROM BUSINESS AND PROFESSION"
In India, Income tax was introduced for the first time in 1860, The Income Tax Act 1961 has been brought into force with 1 April 1962. It applies to the whole of India including Jammu and Kashmir. All income shall be classified under the following heads for the purpose of computation of taxable amount subject to certain Exemptions’ and deductions. PROFITS AND GAINS FROM BUSINESS AND PROFESSION"
Business,Vocation and Profession carried on by the assessee of whatsoever nature. As Regularly Employed can be “Cash” Basis or “Accrual” Basis Subject to Provisions of Section 43B. Any rent, rates, taxes, insurance premium paid by the assessee during the previous year in respect of the place for business purpose would be allowed as a deduction. Any amount spent on repairs, insurance or hire charges, etc. On Plant, machinery, furniture by a business organisation is allowed as a deduction. Normal depreciation is provided on block of assets method on WDV of the block as on every 31 March. Block of assets means group of assets having same rate of depreciation and falling under a specific class of assets. These assets are grouped together and depreciation is provided on the block as illustrated in the coming points. Depreciation is provided for whole year except when, Asset is Acquired and put to use during the year for less than 180 days during the year , in this case the depreciation is limited to 50% of total depreciation, but if same asset acquired during earlier years but put to use this year and usage period less than 180 days during current year then depreciation for whole year. When all the assets of block are sold, in such a case no depreciation is allowed and short term capital/gain or loss would be attracted as per provisions of section 50 discussed in capital gains. PART OF BLOCK SOLD BUT MONEY PAYABLE EXCEEDS WDV:- In such a case no depreciation is allowed and also short term capital gain provision as per section 50 is attracted. Additional depreciation is only to manufacturing concerns. Additional depreciation on certain assets: 20% or 10% (for <180days). Only factory machinery and equipments . There cannot be loss under business head due to depreciation.If such depreciation could not be set off under business head then it can be set off from any other head except salary in the same year, and if still it could not be set off it can be carried forward indefinitely to succeeding years for set off in the similar manner. Deduction in equal installments over Remaining useful life of licence on paid basis. If licence is sold, WDV of licence is reduced by the amount of money recovered and remaining WDV is allowed as deduction in equal instalments over remaining life of asset. If sold for price exceeding WDV, no deduction is allowed in remaining years instead capital gain is charged as per capital gain provisions. Company assessee: 5% of cost of project or 5% of cost of capital whichever is beneficial to the assessee. After setting up of business: - Extension or setting up of new undertaking. List of specified expenditure including documents like feasibility report, project report, market survey, engineering services, legal charges , Drafting and printing of MOA and AOA, registration fees, issue of shares and debentures, underwriting commission, expenditure on prospectus have to be submitted. Quantum: -1/5 of expenditure in each successive year but it is to be noted that VRS is allowed only when amount is actually paid which is not a case Amalgamation demerger. Discount on issue of zero coupon bonds to be allowed as deduction on pro-rata basis. Income from sale recognized. If any amount has been subsequently recovered in respect of above then it shall be taxable under business head even if business is discontinued. Payment of penalty/ damages of compensatory nature. Penalties paid to custom, sales tax authorities, excise authorities, Income tax authorities not allowed. Section 40A (2): - AO may disallow payment made to relative if in his opinion it is excess of the market value. Section 40A (3): - Any payment exceeding Rs. 20000 or Rs.35000( in case of payment to a transporter engaged in plying, hiring, transporting etc.) in a day by a assessee will be allowed as a deduction only when payment is made by a account payee cheque. Payment for purchase of agriculture produce, Poultry farm produce, Dairy items, cottage industry(working without aid of power. Interest, salary: Deduction as per provisions in partnership deed. 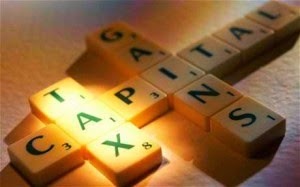 Interest on capital: - Rate specified in partnership deed or 12% whichever is lower. Salary: - Allowed only to working partners. Section 43 B mentions some cases where deduction will be allowed only when amount is actually paid by the assessee before due date of filing return.In all these cases deduction of the expense is allowed on “paid” basis. However when expenditure is disallowed in one year, it will be allowed as a deduction in the previous year in which such expenses are actually paid. Any sum payable by way of tax, cess, duty or fee under any law and by whatever name called. Any sum payable by employer by way of contribution to provident fund or superannuation fund or any other employee benefit fund. Any sum payable as bonus, commission to employees for services rendered. Any sum payable as interest on loan borrowed from public financial institution or state financial institution. Any sum payable as interest on loan taken from scheduled bank including co-operative societies. Any sum payable by employer in lieu of leave salary to employee. If The Assessee Falling Under Section 44ad, 44ae, 44bb, 44bbb Or Any Other Section Of Presumptive Income, Declares His Income Lower Than Specified In These Sections, He Is Required To Maintain Such Books As May Enable A.O. To Compute His Income. Profession: - In Case Gross Receipts Exceeds Rs. 25 Lakhs. An audit report duly verified by a CA on or before 30.09.yyyy of the relevant year has to be submitted. sum as declared by the assessee in the return of income shall be deemed to be the income from such business. However for sum lower than this income, accounts have to be maintained and get audited. All deductions under section 30 to 38 along with unabsorbed depreciation would be deemed to have been allowed. Scheme is applicable to only those assesses who do not own more than 10 goods carriage at any time during the previous year. Assessee can declare income higher than this specified limit. However salary and interest to partners to the limit specified in section 40(b) have to be allowed. Amount received or deemed to be received in India for transportation of goods, passenger, livestock, mail, etc. from any place outside India.